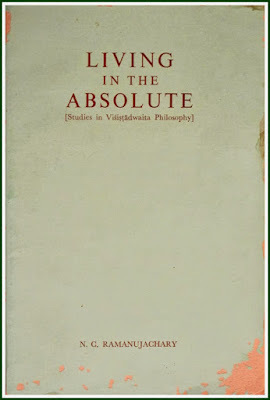 Visishtadwaita is a definite branch of the Indian system of Philosophical Thought, where the marked distinction is that the “Individual soul” though absorbed in the “Universal Soul”, ultimately maintains its own Identity and thus Lives in the Absolute as a NITYA SURI (Eternal Solar-being). The Divinity is the Source of all manifestation and the Supreme Power is anthropomorphized for purposes of easier comprehension and idealization of the devotees. One is supposed to travel from the “Idol” to the “Idea” and the “Ideal”. Devotion is the direct Path to obtain Immortality. 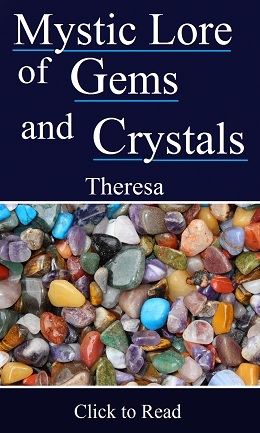 “The Grace of Divinity” is causeless and freely flows over the Universes for the enjoyment of the living-beings (sentient and non-sentient) and a devotee needs to draw that grace by his own merit and endeavor. The Philosophy was popularized by Sri Ramanujacharya (1017-1137 AD), who wrote commentaries to the Brahma-Sutras, Upanishads and Bhagavad-Gita. His Commentary is renowned as SRIBHASHYA. He was in favor of a Social Order devoid of caste, color and race; only unfettered devotion to the Supreme Lord to be the “talisman” for Life and Living. 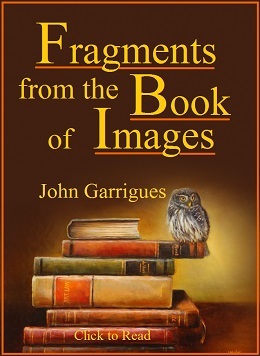 The text is intended for those who need to be familiarized with the basic concepts of this philosophy and so is divided into three sections: “The Essential Teachings”, “Five Bases for Wisdom”, and “A Code of Human Conduct”. 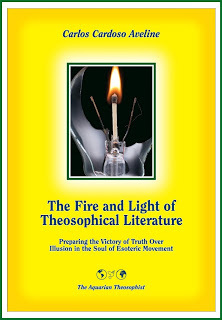 I am rejoiced that “The Aquarian Theosophist” and its associated websites are publishing this slim book online for the benefit of those who have an interest in Comparative Religion and Culture. Chennai, India, 24 February 2014. The volume “The Human and the Divine”, by N. C. Ramanujachary, is also available in our associated websites.